Carolyn Norr spends most of her time adventuring with her two young children and working for climate justice with an inspiring crew of middle and high school activists in Oakland, CA. 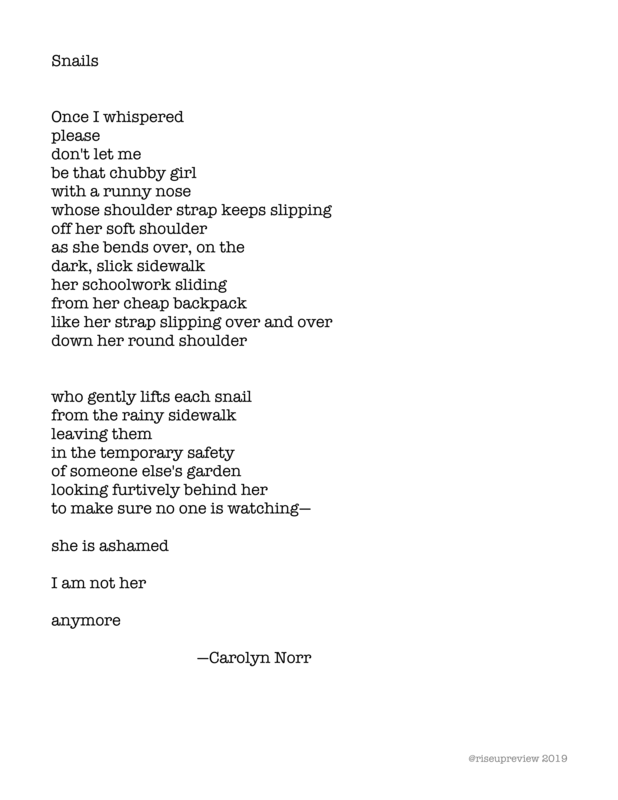 After her kids go to sleep, she writes poems. Her poetry has recently appeared in journals including Flyway, saltflat, Main Street Rag, Rise Up Review, Writers Resist, and Literary Mama.